Stop and think about your grooming routine for a minute. Are you getting the results you want—a clean, healthy-looking horse—without spending hours every day? If not, we’ll help you understand the fundamentals of grooming, choose the right tools for the job, and establish a step-by-step routine to banish a dull coat and get your horse looking great in less time. We’ll help you answer questions from, “Are grooming sprays worth it?” to “What the heck is that round metal torture device, and does anyone actually use that one their horse?” and everything in between. What are the benefits of grooming your horse? Grooming your horse has many benefits beyond making him look shiny (although we all take pride in having a glowing horse!) 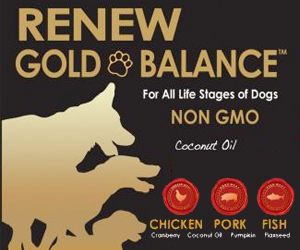 It helps maintain your horse’s skin and coat health by stimulating blood flow to the skin’s surface and spreading the horse’s natural oils. Keeping your horse clean and dry decreases the chance of funky skin issues like rain rot and scratches, and picking your horse’s feet reduces the odds of him developing hoof conditions like thrush. Daily grooming is a chance to inspect every inch of your horse, checking for cuts and scrapes, swelling, or unusual lumps and bumps. In a short time, you’ll know what’s “normal” for your horse and notice anything out of the ordinary that might need attention. Even a blanketed horse should have his blankets removed regularly to make sure there isn’t anything problematic lurking underneath. Grooming is also great bonding time with your horse. He’ll let you know if he likes an extra rub at his withers or when his stifles are too sensitive for a curry. A thorough brushing is important before tacking up and after riding, too. Dried sweat trapped under the girth or dirt caked beneath boots or wraps can cause rubs, girth galls, or saddle sores. It’s also a perfect time to make sure there aren’t stones stuck in his hooves. When you’re finished riding, properly cool out your horse and make sure his coat is clean, dry, and smooth (it will make your life much easier before your next ride!). A well-groomed horse starts with having the right tools. We recommend seven basic brushes for every horse owner, but there are dozens of “extras” that will help you achieve a better finished product in less time. And you may find some horses only tolerate certain brushes, or that you need to use different tools during shedding season than you do during the summer. How often should you groom your horse? We recommend daily if possible. If done regularly, you’ll only need about 20 minutes to maintain a clean, shiny horse. Of course, you can always spend longer on each step for a more thorough grooming—your horse’s coat will thank you! Grooming hack #1: Before you start, spray the tail with detangler. It will be dry at the end of your grooming routine, making it much easier to slide a comb through. Alternately, use your fingers to work a quarter-sized amount of silicone-based conditioner through the tail. Using the metal side of the hoof pick, work from heel to toe to remove caked mud, manure, and small rocks from your horse’s feet. Check for signs of thrush (stinky, black discharge from the frog), and make sure his shoes aren’t loose. Get in the habit of picking your horse’s feet in the same order. It will ensure you don’t miss a foot, and your horse will learn the routine. Use the stiff brush side of the hoof pick or a special hoof brush to remove any remaining caked mud or sand from the bottom and outside of your horse’s hooves. Use a rubber curry with medium or long “nubs” that will reach down and through the coat to loosen dirt, bring dirt and loose hair to the surface, and massage your horse’s skin. Some curry combs are stiffer than others, and you may need to experiment to find one your horse will tolerate. You’ll need a lot of elbow grease in this step and will probably want to lean your body weight into the curry so your arms don’t get tired (bonus grooming benefit: buff arms!). Working from the top of the neck, use the curry in a short, circular motion. A stuff rubber curry can be used on the neck, shoulder, chest, back, sides, hindquarters, and on the hind legs down to the hock. It should not be used on the legs below the knees or hocks or on the face, and some horses may have other sensitive areas such as along the spine and near the girth area. Spend a little extra time on the top of the rump where dust tends to settle. A good curry is a vital step in the grooming process—don’t underestimate its power, even if your horse looks dirtier at this point in the process. A spiral metal curry or metal shedding blade can be used on thick coats, especially for shedding, or large patches of caked mud on the body. The metal curry should be used before currying, brushing with longer, straight strokes in the direction of the hair. Avoid metal curry combs on sensitive horses. Use a soft, flexible rubber curry with short nubs, a curry mitt or curry glove, gently curry your horse’s legs and face. You’ll probably need to make short, back-and-forth strokes to work into the nooks and crannies in the legs and face. Make sure to get underneath the halter, especially under the crown. Work all the way down his legs behind the fetlocks to the heels where caked mud loves to hide. The soft curry is also perfect for the girth area and under the belly. Use a stiff, hard brush to remove the loose hair, dust, and dirt you worked up with the curry comb. Again working from the neck to the hindquarters, brush in the direction of the hair in short, quick strokes that lift the dirt away from your horse, not just push it back down beneath the hair. Take care with your horse’s sensitive areas. As you work, the brush will get dust and dirt on it. Keep a curry in your other hand to run the brush against to remove that dust and keep it clean. (You need clean brushes for a clean horse!) Your horse may still look dirty at this point, and that’s okay. Your main goal with the hard brush is to remove the chunks of mud, clumps of loose hair, and pieces of grit. Choose a medium brush with dense bristles to get the best result. This brush should have medium-length, firm bristles and be soft to the touch. Use long, strokes in the direction of the hair growth, flicking your wrist upward at the end of each stroke to lift the dust away. Grooming hack #2: To keep the medium brush clean as you work, run it against a curry and then wipe it off occasionally on a lightly damp towel. This goes for the body brush, too. A good body brush is the ultimate secret to a well-polished horse. A body brush is usually an oval brush with a strap handle, and it has short bristles that are fine, soft, and packed densely. Use this brush in long sweeping strokes all over the body, including the face. If your horse is head shy, use a smaller face brush. The body brush removes the last layer of dust while simultaneously helping distribute the natural oils that make your horse shine. 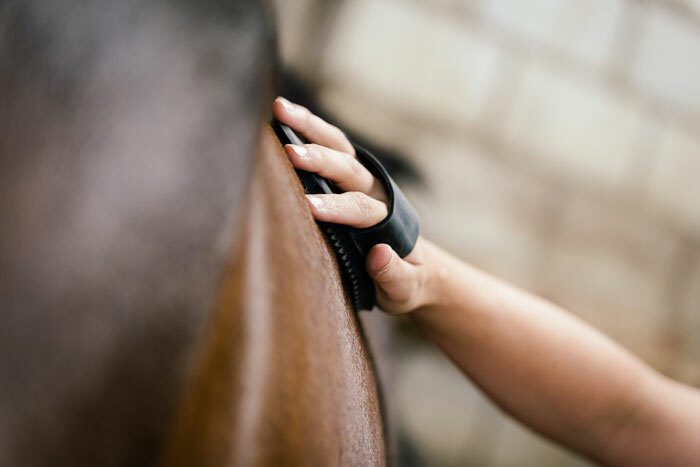 Grooming hack #3: Lightly spray the body brush with a non-slippery grooming spray before using it to help attract fine dust and hairs, reduce static, and leave your horse with a little extra shine. When you’re finished, spray the horse directly on the neck and hindquarters (to be safe, avoid the saddle area, even with non-slip sprays). Gently wipe any crud from the corners of your horse’s eyes and inside his nostrils. It’s a nice finishing touch, and will also help you monitor your horse’s health and catch any early signs of infections. If you’ve pre-sprayed the tail with silicone-based grooming spray, the work will be much easier. Standing to the side of your horse, grab the tail at the bottom and hold it firmly in one hand, and get your wide-tooth comb in the other hand. Work carefully in 1-2 inch sections from bottom to top, ensuring you have all the tangles out before moving higher. Never rip, pull, or force a tangle out; stop and work it out with your hands if needed, or add a little more conditioner. Your goal should be to detangle without breaking a single hair. Grooming hack #4: Nothing ruins a beautiful grooming job like a tail full of shavings, but nothing ruins a tail faster than too much brushing. If you find you are breaking your horse’s tail hairs, don’t brush it as frequently. Use your fingers to pick out shavings and untangle mattes when needed. Ta-da! 20 minutes later, and you should have a sparkling clean horse. Maintain this basic, effective grooming routine on a regular basis to keep your horse looking great!